A must for every camper! 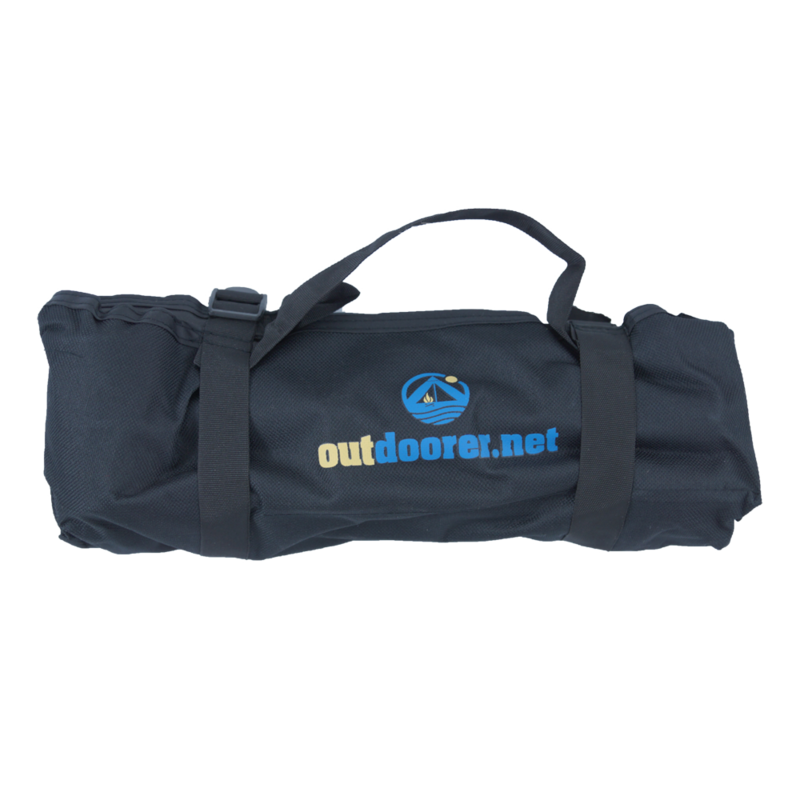 That’s the only way to describe this high quality 52-piece Tent Accessory Set by Outdoorer. Campers know that their tent is only safe and stable when the pegs are perfectly suited to the soil. 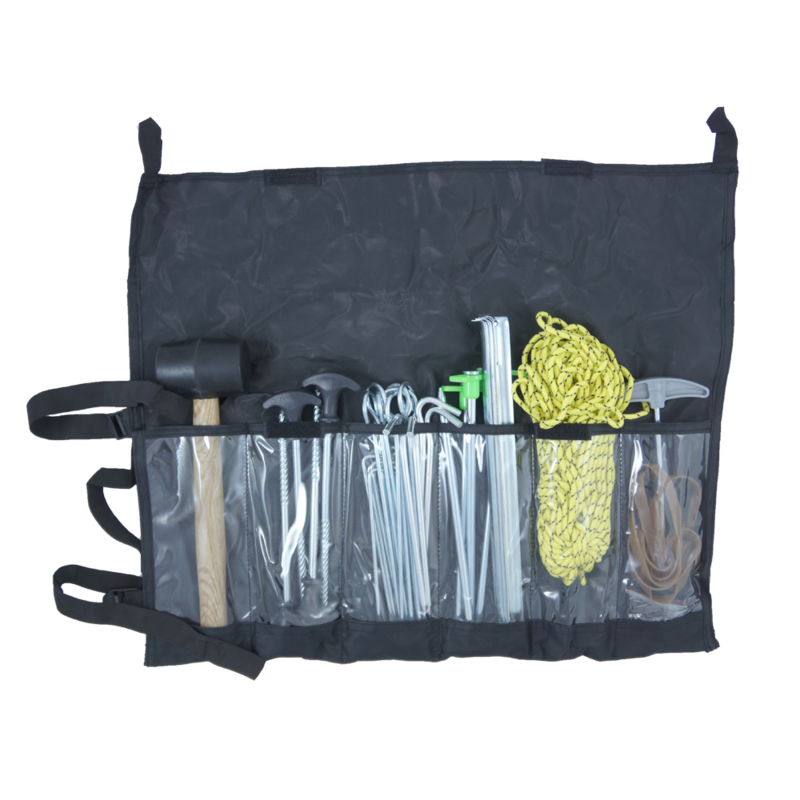 That is why this tent accessory kit contains different pegs for soft to hard bases and also useful extras such as a rubber mallet, guy lines, a peg remover, adjustable flaps and rubber bands. You can buy the Tent Accessory Kit at Amazon. When you’re out camping you have to be prepared for all sorts of weathers and all kinds of soil. 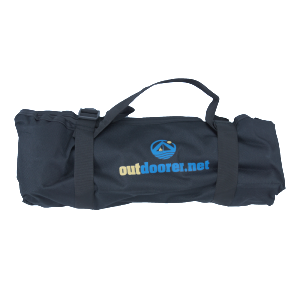 That’s why Outdoorer has compiled this handy set of tent accessories with much foresight. It really does include everything a camper could require to secure their tent and keep it stable in all situations. So as far as your tent is concerned, you will always be on the safe side! Whether you camp on soft or hard ground, this tent accessories set by Outdoorer has the right pegs for all soil conditions. The Rock Peg bedrock peg and the Twister screw peg are perfectly suited to securing your tent on hard, rocky or stony ground. The earth pegs, square pegs and aluminium Alu Pegs by Outdoorer are the right choice when the tent is being put up on medium soils e.g. in meadows. The Sand Fortress sand pegs offer the best grip on sandy and soft ground. No tent accessory kit would be complete without a rubber mallet. This set also includes a very practical peg remover, with which you get can easily get pegs back out of the ground when you are taking down your tent. 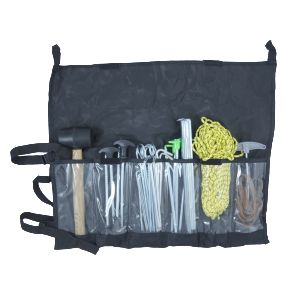 The tent accessories set by Outdoorer is complemented by a 20 m guy line, adjustable flaps and rubber bands for tensioning the canvas. The individual parts can be clearly and neatly tucked into the rugged textile pocket, which is also included with the delivery. Where is the 52-piece Tent Accessory Set by Outdoorer available to buy? You can buy this camping accessory set via Amazon.